The world’s most sustainable cities are redefining the building sector’s environmental impact. These cities are comprised of innovative buildings that incorporate the newest green technologies and building trends, putting environmental responsibility first. These cities have captured the world’s attention with their sophisticated designs, leading the way towards a greener future. Green building standards play an important role in sustainability, like the LEED certification program from the United States Green Building Council. For green building companies and residential innovators alike, these are the top cities to watch. 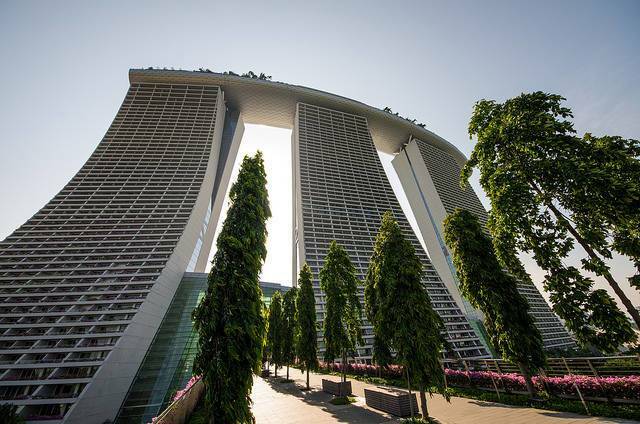 Singapore’s cityscape stands out for modernists buildings like the Colonnade or the Marina Bay Sands Hotel. But the newest and greenest buildings are drawing attention from builders looking to incorporate green space into the city itself. Massive vertical gardens built directly into a building’s façade is Singapore’s newest green building trend, and these impressive constructions are showing what’s possible for urban ecosystems. Singapore’s 24-story “Tree House” holds the Guinness World Record for largest vertical garden. The condominium’s largest wall features 24,638 square feet of vertical green space, incorporating the benefits of healthy flora into the façade itself. Rooftop gardens are a long-standing staple of green buildings, but these vertical structures allow an even greater expansion of the benefits they provide. The vertical gardens help to offset the building’s footprint by filtering pollutants and carbon dioxide and aid in heat absorption, which could contribute to cutting the building’s energy use by 15 to 30 percent. Vertical gardens are possible at every design scale, making them attractive for the commercial and residential sectors. Stockholm leads the charge for greener cityscapes. About 40 percent of the city is green space, and the city aims to be fossil fuel free by 2040, according to Mayor Karin Winngård. The city owes its world-leading sustainability profile to a cultural environment where companies are encouraged and supported in their efforts to innovate within the green building sector. In energy use, two companies are making a splash with new green building tech. Ferroamp, a tech company founded in 2010, is building a smarter grid by integrating photovoltaic panels and energy storage into a single system. These building-scale power grids allow excess solar power to be more effectively captured and stored, increasing efficiency and cutting energy losses over traditional grid-tied systems. The process also streamlines expansion so buildings can invest in more panels and storage over time. Climeon takes energy production to new territory with its hot water conversion systems. Climeon’s system harnesses the waste heat or geothermal heat to run turbines that produce electricity. This system produces free electricity from a process that already exists in every building in the world, providing a new innovation for the world’s green buildings to incorporate. Climeon’s CEO Thomas Öström credits Stockholm’s support for green technology companies for allowing them to take chances in their energy-saving designs. With a low-risk environment, companies like Ferroamp and Climeon can break new ground in green building technology. Zurich ranks highest on Arcadis’s 2016 Sustainable Cities Index and has led the way in sustainable building design for decades. The Swiss incorporate the Minergie principles into every major building project, a set of sustainability standards that applies to skyscrapers and residential households alike. Zurich’s tallest building, the Prime Tower, was built using the Minergie principles, which reduce the average building’s energy consumption by one third. The Minergie principles showcase an essential and often overlooked component of green building design; these standards embed green technology and environmental responsibility into everyday practice. The Minergie principles make Zurich a world leader in the green building sector. Minergie helps Zurich’s commercial and residential buildings embrace green building innovations like home automation technology, solar and wind energy systems, green roofs, innovative building façades, and energy-efficient cooling systems for projects large and small alike. If there’s one thing the world’s most sustainable cities have in common, it’s their network of green technology companies. These innovative companies help these cities create a better future for people and the environment, and they demonstrate the importance of knowledge-sharing and data-driven innovation for businesses across the globe. Homeowners and business leaders alike can join the global green building network by contributing their knowledge and growing the world’s green economy. Krystal Rogers-Nelson is a freelance writer living in Salt Lake City, Utah. Holding a Bachelor's degree in International Studies with an emphasis in globalization, she is passionate about building sustainable communities and protecting people and the planet. With 14+ years of experience working in the non-profit industry, she has expertise in sustainable agriculture, green building, corporate social responsibility, home automation and appropriate technology. You can find more of her work here.